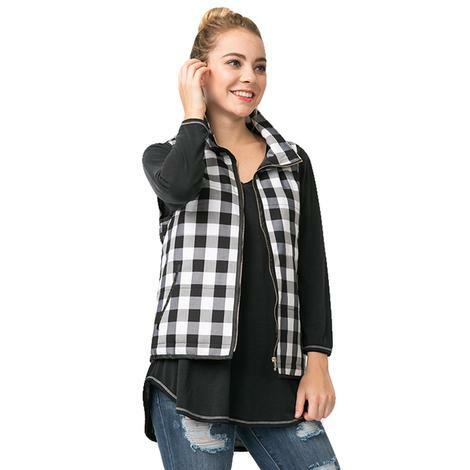 Women's lightweight quilted fleece vest in black and white checkered design comes in a zip front closure. Touches just below the waist and has pockets on the side. Collared top.